7,687,438 levs have been approved and 4,996,836 levs have already been absorbed by several companies under the European Union Operational Program “Competitiveness”. According to sources of Bivol, controversial businessman Mario Nikolov is the person behind these companies. If we add another four projects from the Rural Program for 5.1 million levs, the total is over 13 million levs in EU funds, which have been already spun in a new scheme under the good old model – inflated invoices for old machines instead of new ones. Nikolov, who defines himself as “hereditary socialist”, rose to fame at the end of the rule of the Three-Party Coalition with the massive theft of EU funds exposed by OLAF. The so-called SAPARD case, in which Nikolov was tried together with Lyudmil Stoykov on charges of money laundering, became a byword for the dysfunctional Bulgarian judicial system. While several people were sentenced in Germany for the same scheme and even already served their time, in Bulgaria Mario Nikolov and his accomplices remain at large and the case is still dragging on. The scandal also shed light on a political corruption scheme that was not investigated at all – after receiving the EU money, Nikolov gave generous bonuses to his employees, who in turn spontaneously donated several thousand levs to the Bulgarian Socialist Party (BSP). To apply successfully for an EU project, a company must provide bank guarantees and co-financing. Major credit and collaterals are needed for projects worth several million levs, such as those listed below. FIB co-financed and guaranteed the projects with which Mario Nikolov cheated the EU through the SAPARD program. After OLAF exposed the scheme, money had to be returned and as result Nikolov owes the bank a considerable sum. The projects under OP “Competitiveness” and “Rural Development”, discovered by Bivol, not only are identical and for nearly identical amounts, but have the same standard contracts for loans and bank guarantees. The contracts for bank guarantees even have consecutive numbers or were signed on the same date, a check in the Commercial Register showed. And all without exception are again from the same bank, which after being rescued with State aid, is now branded as FIBANK. The new companies with which Nikolov applies and wins EU bids are not even trying to hide the relationship with the “mother ship”. Instead of EUROFRIGO, which was forced to return 3.8 million levs to the SAPARD program, we now have a new company under the name EUROFRIGO STAR, but it is registered at the same address and even has the same manager as EUROFRIGO. 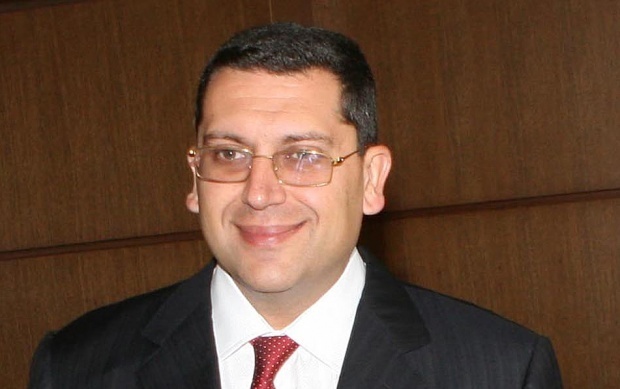 Plamen Tsvetanov Danyov was Chairman of the Board of Directors of EUROFRIGO from 2008 to 2012 with Mario Nikolov’s wife Mariana, who is also a defendant in the SAPARD case. Now Plamen Tsvetanov is the manager of EUROFRIGO STAR and his signature appears under the contracts for the EU funds. Another company is also registered at the same address – 1 “Malashevska” in Sofia – its name is AVISPAL. All four companies that have received millions from the operational program have changed owners recently. Svetoslav Lachezarov Mitov, born in 1985, has become the owner of AMAREL BULGARIA on July 15, 2015. This is a company with 100 levs in capital, has no activity and one person with social security, perhaps the very Mitov. Since November 2014, AMAREL BULGARIA is owned by EUROFRIGO STAR. With what money a company with no history acquires another company with 2.5 million in net sales revenues and capital of 3 million levs is very intriguing question. Svetoslav Mitov is the owner of SIKAN Ltd as well, since February 2015. This company is also a beneficiary of millions under the same scheme, paying social security for only two persons and has 104 thousand levs in sales for 2014.
to whom the former Chair of the Sofia City Court Vladimira Yaneva granted full access to the video surveillance systems, the hardware and the system for random allocation of cases in the key Sofia Court. The connection of Dimitar Kerelov with Mario Nikolov was examined in a publication of Capital daily which showed that INTELLIGENT FOOD SYSTEMS holds 49% stake in EUROFRUIT INTERNATIONAL, which was founded by Mario Nikolov in 2004. Nikolov is also known for his friendly relations with high-ranking magistrates with whom he has been seen having lunch. The AVISPAL company, which is also the beneficiary of nearly one million euro, has a more serious record. It boasts publically two million levs in profit for 2014 and 44 employees. On June 22, 2015, however, AVISPAL was sold to FUNEX Ltd, which has one person with social security and no sales. Like EUROFRIGO STAR, this company is probably prepared to be turned into a shell one after the absorption and partaking of resources. Besides the eight million for refrigeration installations under the “green program”, Mario Nikolov is about to absorb another five million levs under the “Rural Development” Program with four identical projects for poultry farms for ducks and turkeys in the village of Zhivkovo in the municipality of Ihtiman. Four companies, registered to proxies, have received funding from the State Fund Agriculture under measure M121 “Modernization of Agricultural Holdings”, a check of Bivol showed. As the companies-beneficiaries of OP “Competitiveness”, these four companies also have identical credit agreements with FIB, signed on the same dates in June and July 2015. The loans are guaranteed with rural properties as collateral. Some of the companies on the list will buy equipment from abroad. Whether these will be old machines, painted like new, as is Nikolov’s trademark, or new machines at twice inflated prices, the margin must be large. The other companies will build, will install machinery and other equipment and will put whatever they want on the invoices. Finally, the State Fund Agriculture and the Economy Ministry will pay to the companies 50% of the amount from the inflated invoicing. This is the optimistic scheme. The pessimistic is that there will be neither machines nor poultry or loans repaid to FIB, while the “squished” by the judicial system Nikolovi family will seek solace on some exotic island. They say that with a few million in your pocket nostalgia was more bearable.